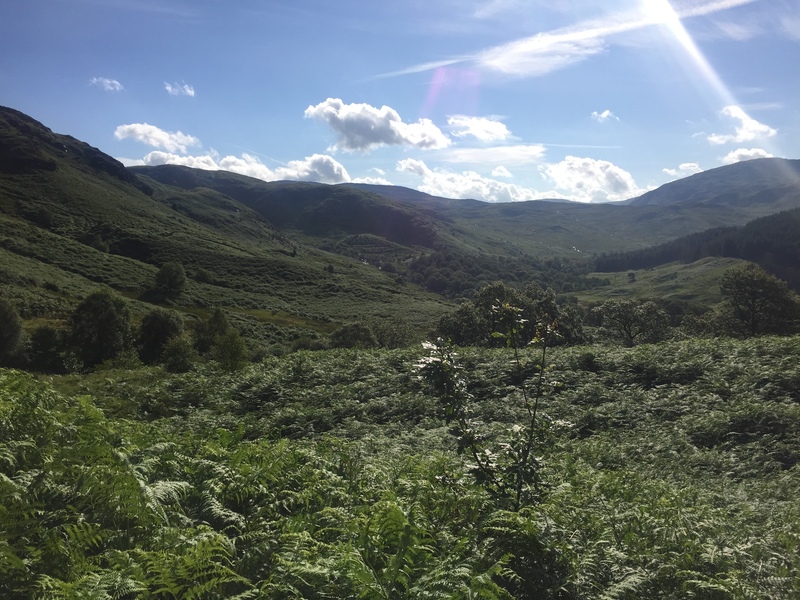 As usual, we left in the van straight after work on Friday and made the five hour drive plus stop for tea down to Glen Trool where we camped for the night. 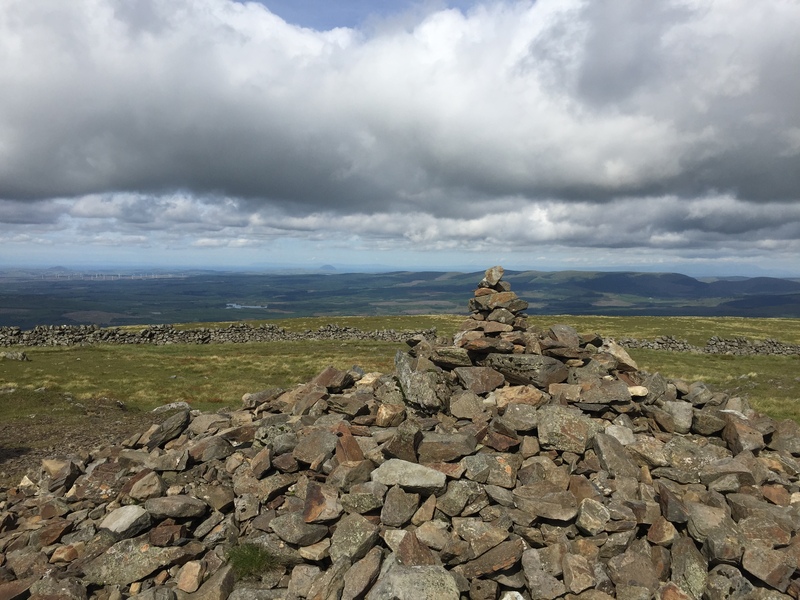 We had found an interesting looking route from the new SMC Grahams & Donalds book which is a circuit that takes in the Corbett, The Merrick, which is the highest point in Southern Scotland, and several of the surrounding Grahams of the Dungeon of Buchan range. 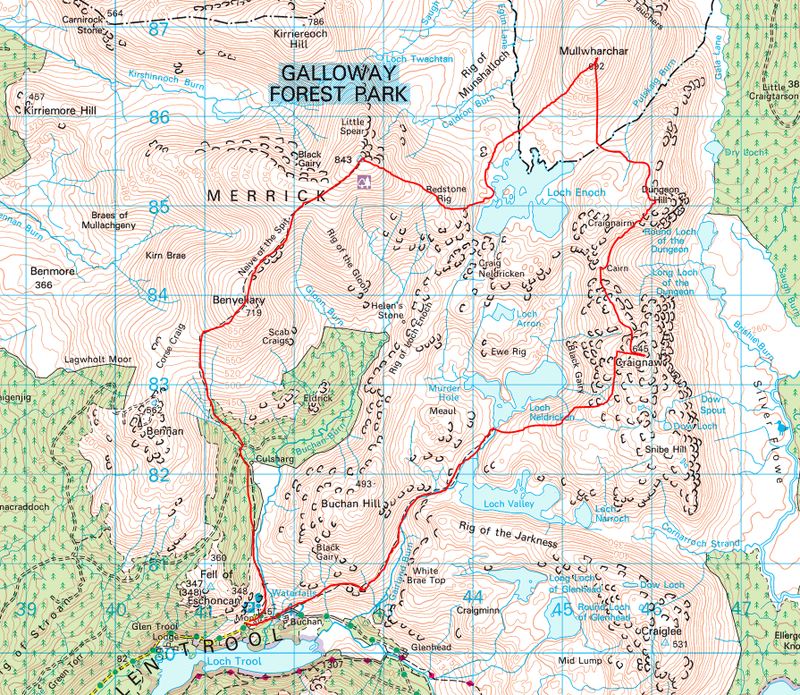 The walk started from the carpark situated at the end of Loch Trool and up the good path to The Merrick. 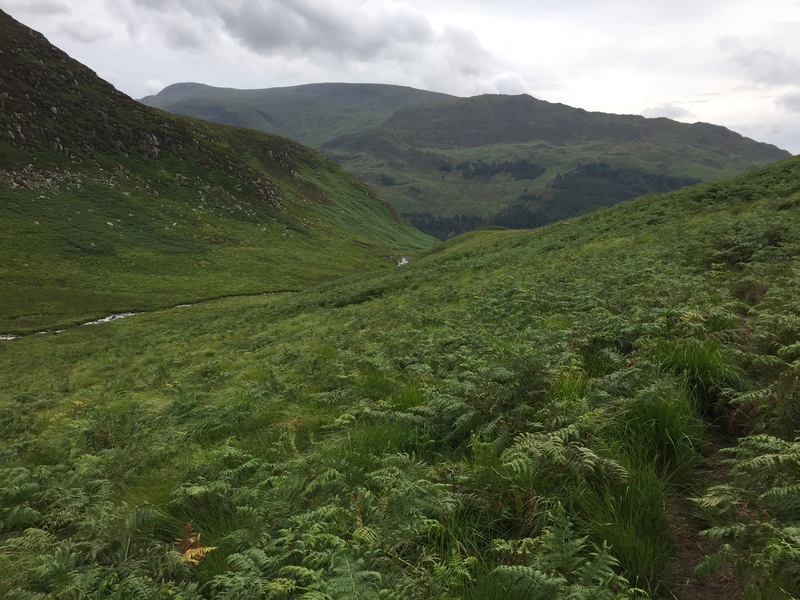 This was immediately very beautiful, alongside waterfalls and views opening up across the glen straight away as we climbed. It is very like the Lake District in fact. 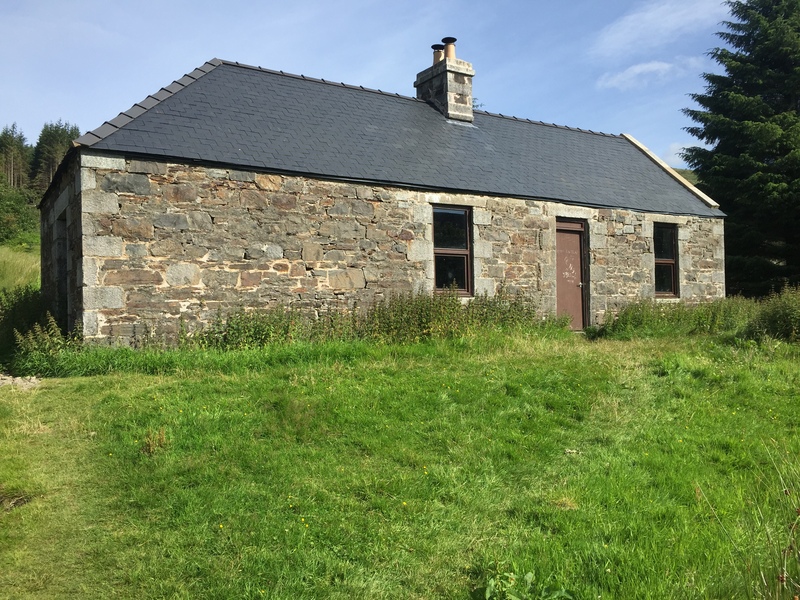 We arrived at the non-MBA Culsharg bothy, which looked in great nick from the outside. The inside though was a different story – very rough and made worse by several bags of rubbish piled up that visitors had left behind. I hoped they were returning for them after their walk, but doubted it. The walk was steep in parts but on a great path and we were soon at the top of Benyellary. We walked along the brilliantly named Neive of the Spit. 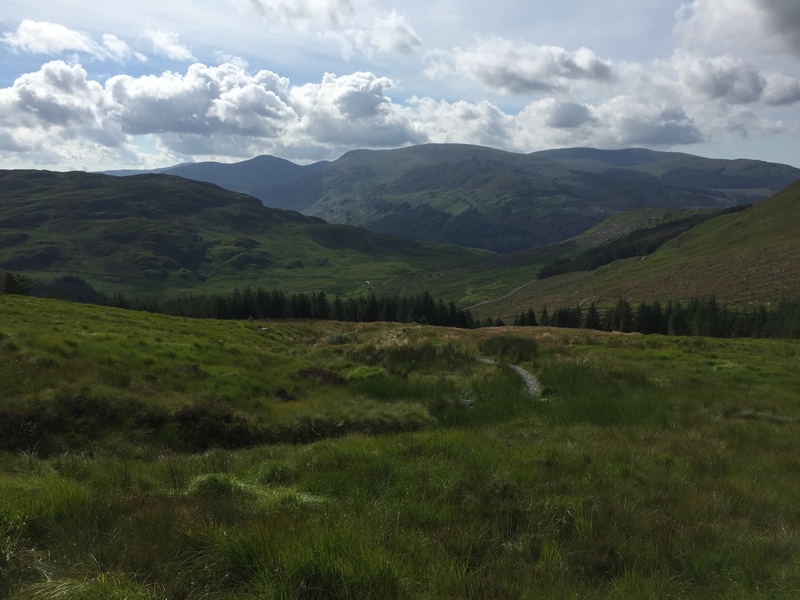 Like the Lake District, every feature has a name, and here there are very anglicised place names with no Gaelic which is very different from the Highlands (Murder Hole anyone?). 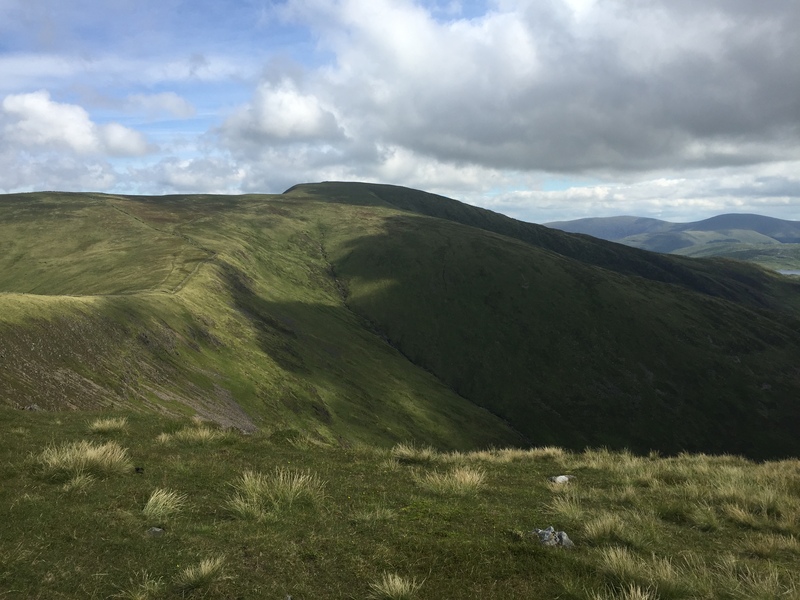 This part reminded me a lot of the walk we did earlier in the year up High Street in the Lake District – I think that bit is called the Straights of Riggindale. It was very windy along this part as the wind rushed right up the corrie but it was a short pull up to the summit of The Merrick. It is a lovely viewpoint and we sat and had a cuppie and took it in. Well, that was the easy part of the walk over. 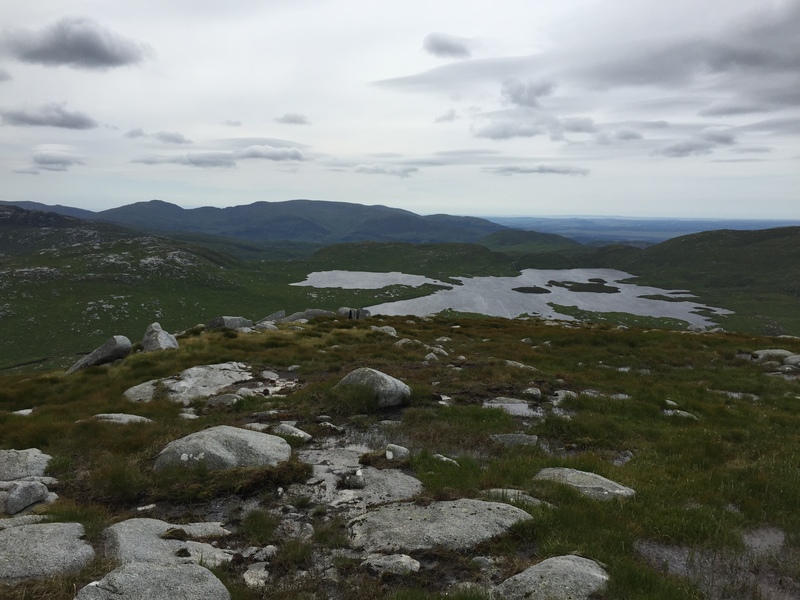 The next part was 6 hours of rough, pathless terrain. The other side of The Merrick showed a different character, and is very rocky and lumpy. 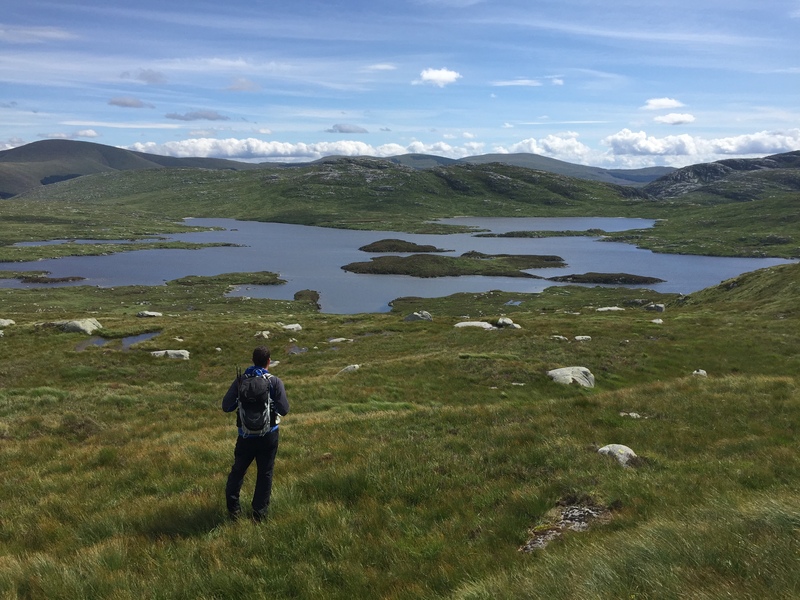 We descended down Redstone Rig to beautiful Loch Enoch, where the SMC description pointed out its ‘loch in loch’, which was a tiny lochan on one of the loch’s islands. 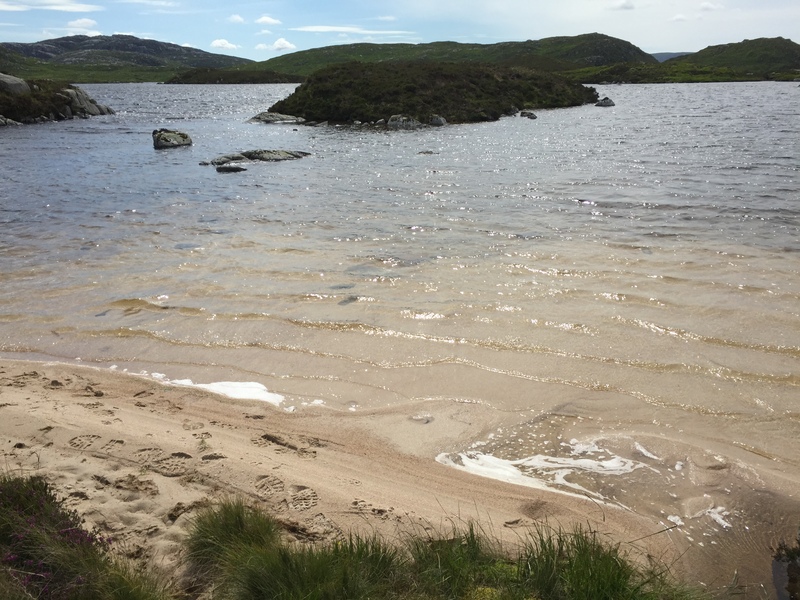 I had an urge to swim in the loch in the loch – it is now on my long list of things to do, but today was not the day! It was hard going, descending down. 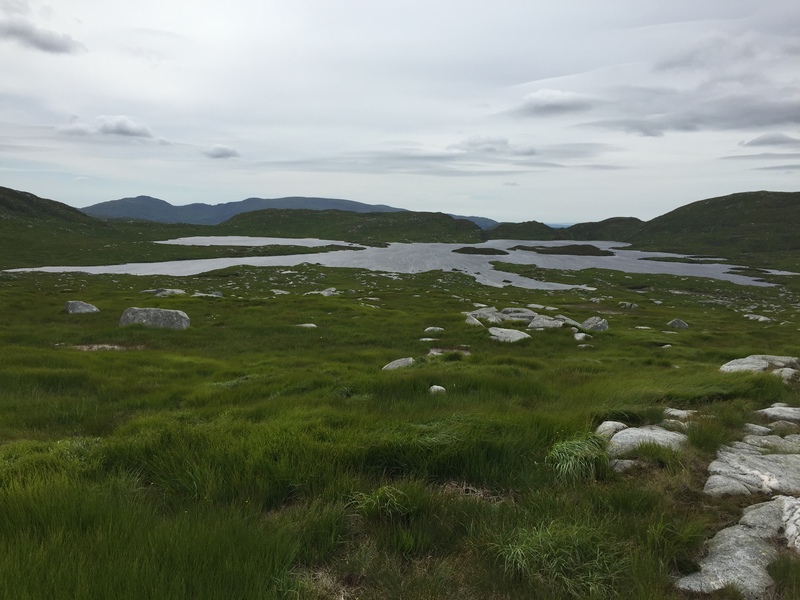 The typical Galloway terrain is made up of thick, knee-length grass that looks lovely and gentle but obscures a myriad of potholes, tussocks and other ankle-breaking menaces of rough ground. Not easy to skip down, at least not for us. 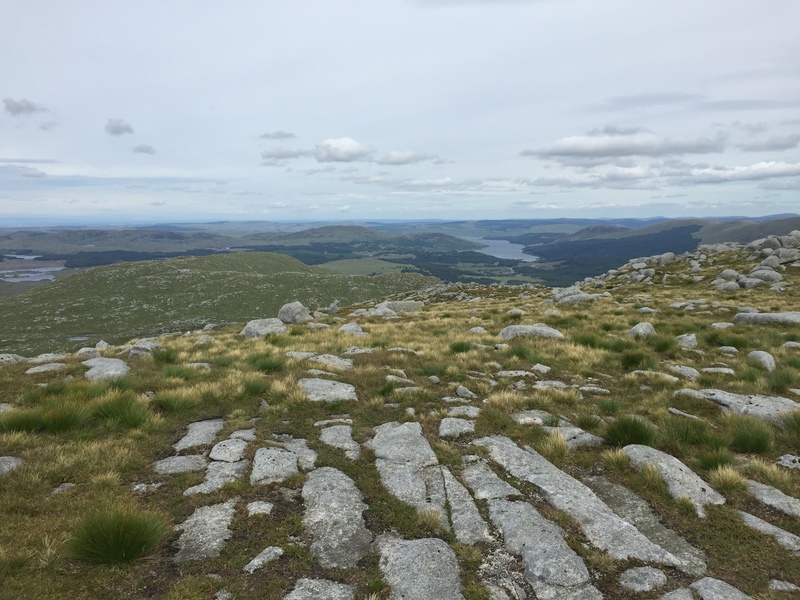 The loch side was very pleasant and Ally suddenly announced he wasn’t bothered about climbing Mullwarchar, preferring to linger by the shore. 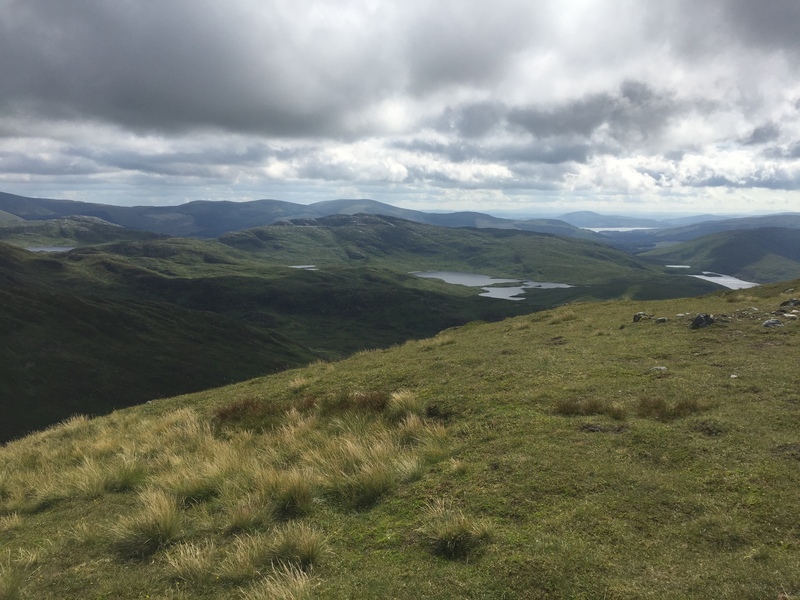 I can’t say I blame him – it was very inviting and I was very tempted myself, but I was tempted even more by the description of Mullwarchar being the remotest hill in Southern Scotland. Yes please! 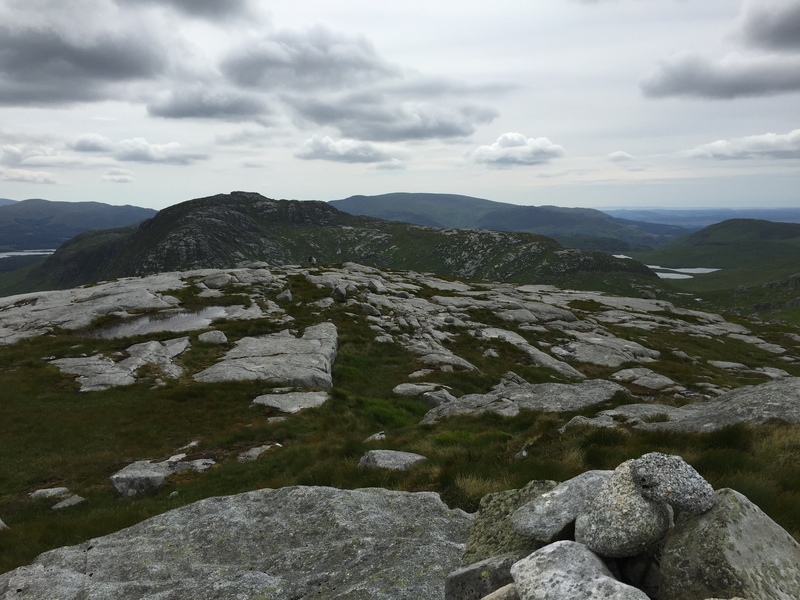 I arranged to meet him back by the shore and made my way up the rocky slopes until I found the summit. 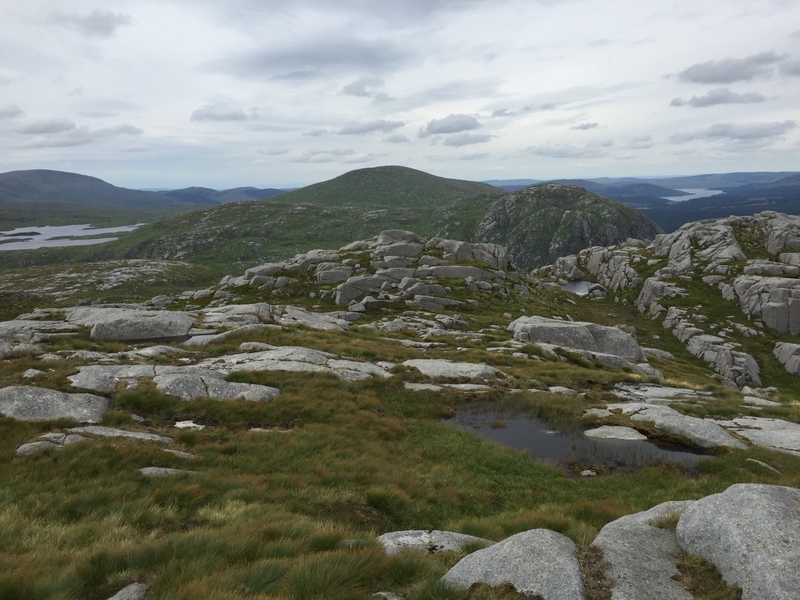 There was indeed a very remote feel from up here and fine views down to Loch Macaterick and Loch Doon. Again, descending was not quick and I had to be careful. I could not see Ally anywhere amongst the complex landscape of rocks and had to shout for him. I eventually saw him waving from some boulders. 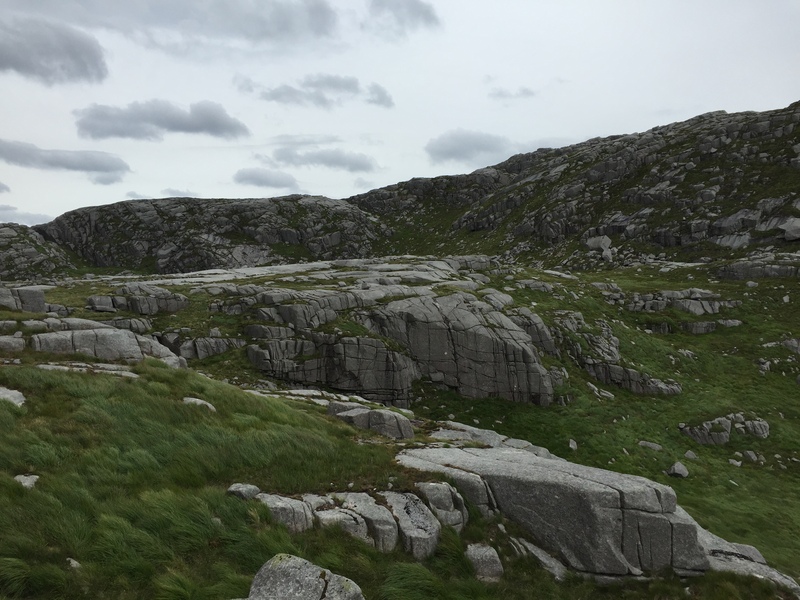 We then made our way up over increasingly bouldery terrain to the aptly named Dungeon Hill – which did look like a rocky dungeon. It is really different terrain here, quite unlike the Highlands. 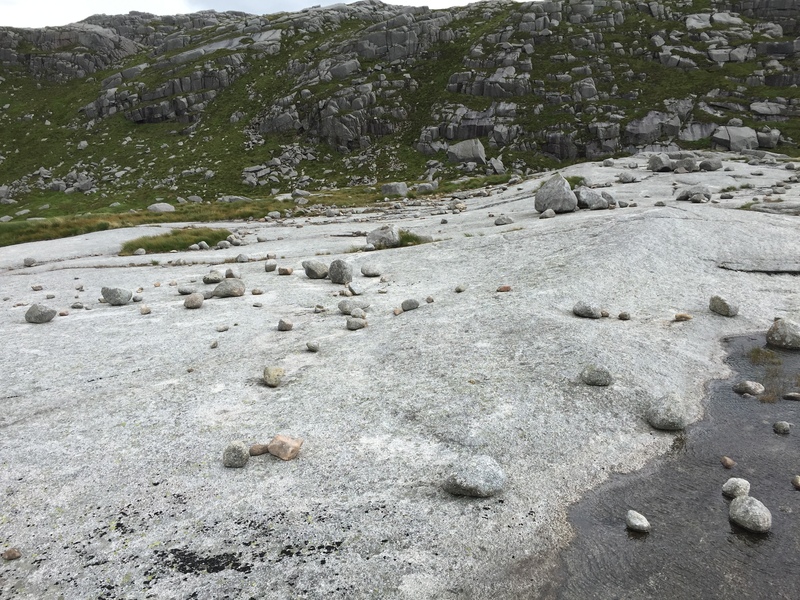 Although I compare it to the Lake District, it still has its own completely distinct rocky character. 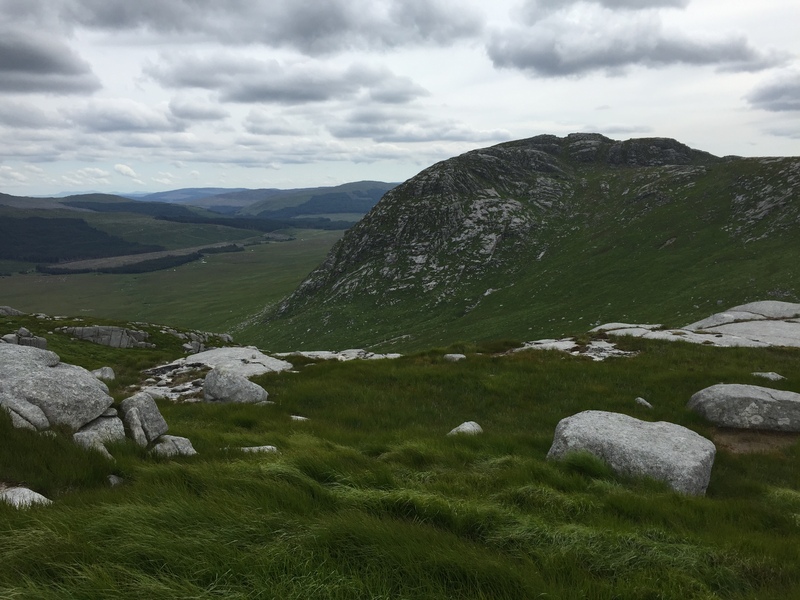 We cut round the side of Craignairny to the cairn on the bealach before picking through the boulders up Craignaw, passing the Deil’s Bowling Green, which is a flattish area of rock scattered with boulders. 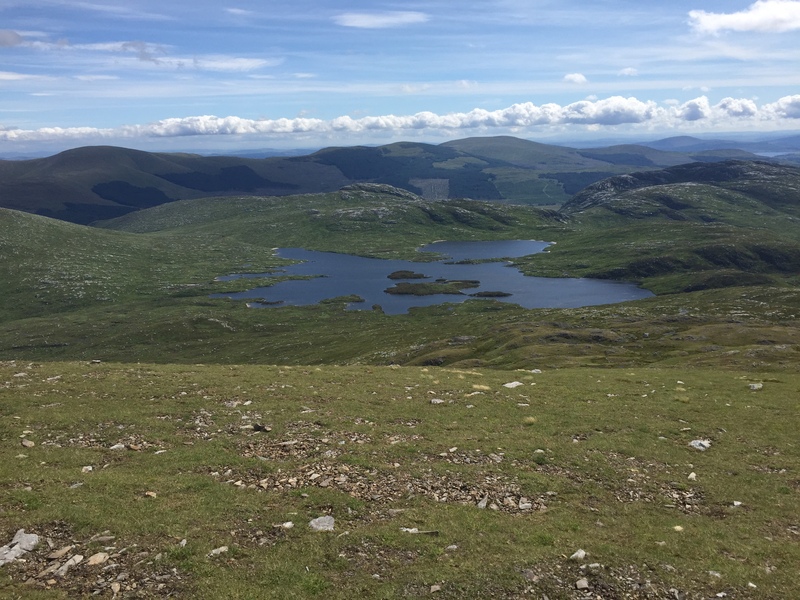 From here it looked like a simple descent down to the end of Loch Neldricken to pick up the path on the other side. Well, that was a mission. The ground was increasingly rough and I fell several times in potholes and the like. 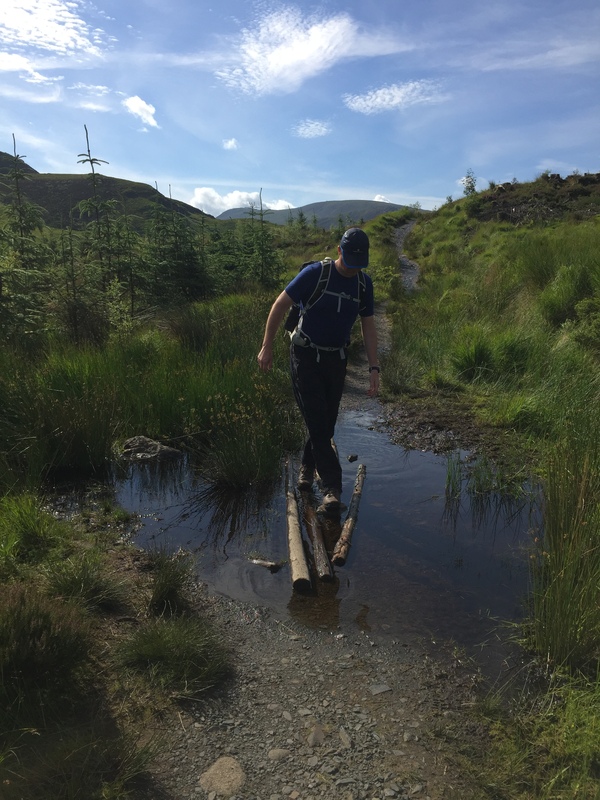 It is really rough terrain, and especially when you can’t see the ground beneath you. 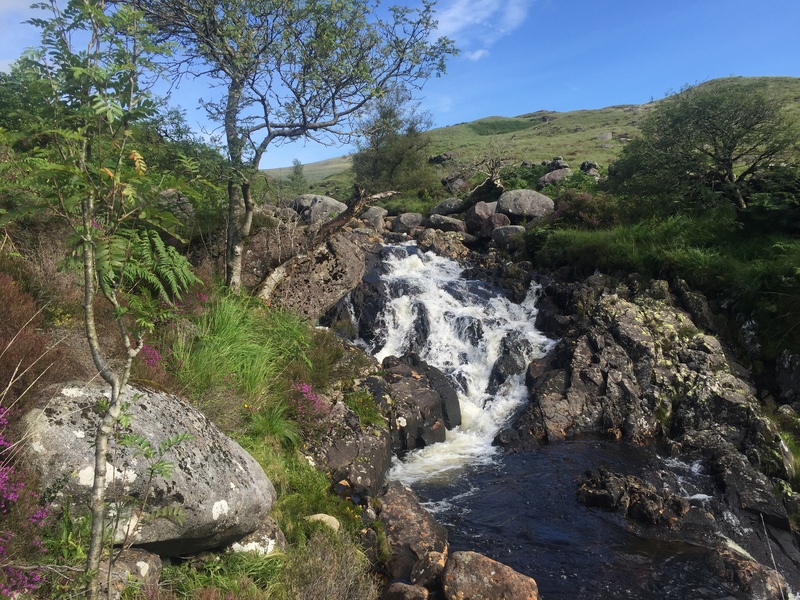 I thought crossing the burn and reaching the path might give some relief, but the path was an absolute shocker. 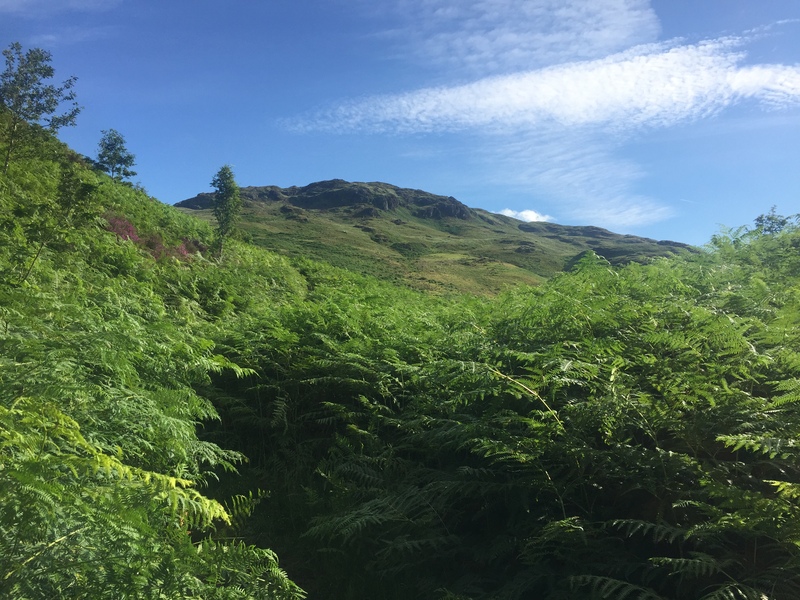 Boggy, mucky, obscured by shoulder length ferns and bracken and covered in more potholes, every step was accompanied by a loud swear word from both of us. 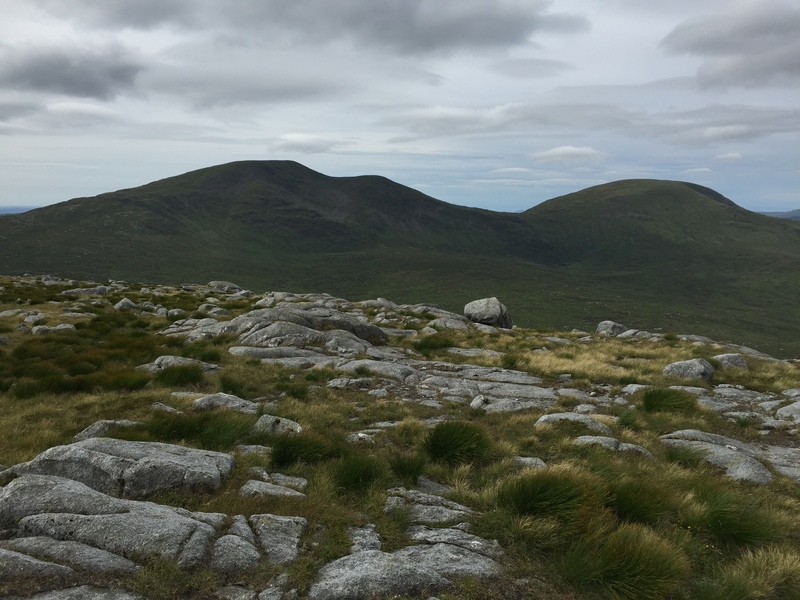 ← Halfway on Beinn Eighe! Glad you both enjoyed theses hills. It really is a smashing area and a good place to explore further. Just looking at the map get me excited, great names marked. 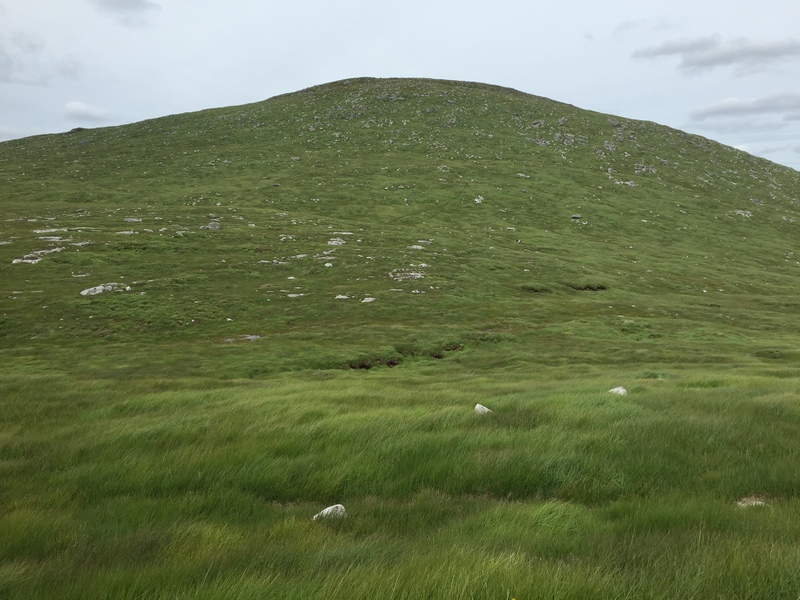 It certainly is rough once you leave the path but as I send a lot of time run over the Dark Peak the odd peat hag and bog doesn’t deter me. I can’t for the life of me think why the forestry did up Culsharg. 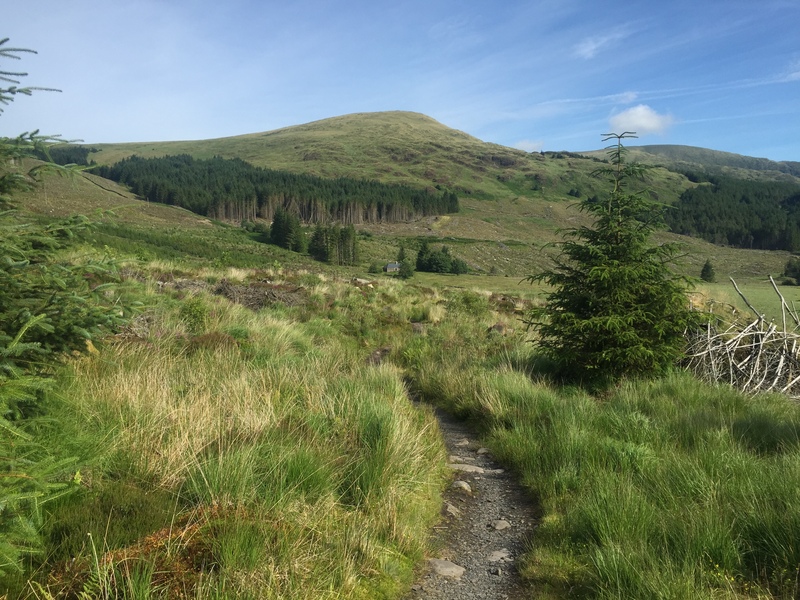 It’s way too near the road and is a deadringer to go the way of other bothys in the Galloway forest. 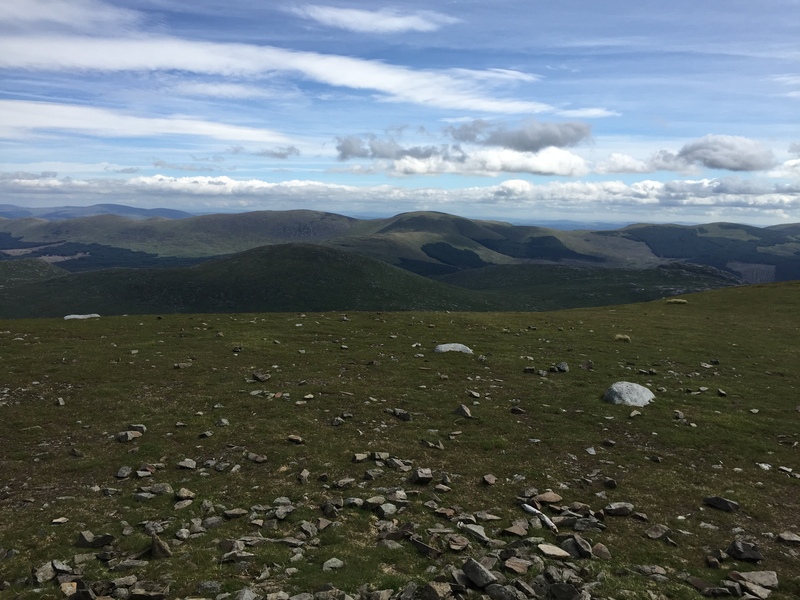 I started off on that walk with Richard but he turned back after Merrick to retrace his steps but I fancied Kirriereoch so continued on. 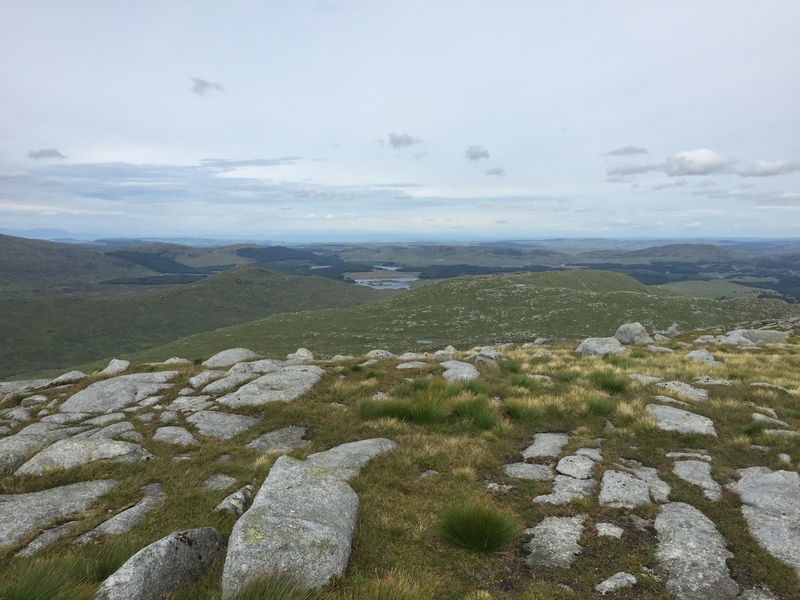 I wanted to do Mullwharcer (but had no idea about it being the most remote in Southern Scotland or I’d have said to hell with it and done it) and I wanted to walk back along the hills you mentioned but it was mid winter and I was running out of daylight so didn’t. It was brutally cold and icy anyway so, with that and your description of the ground on the return, good job I didn’t. They’re the ‘Range of the Awful Hand’ aren’t they? My favourite name for a hill area in Scotland! 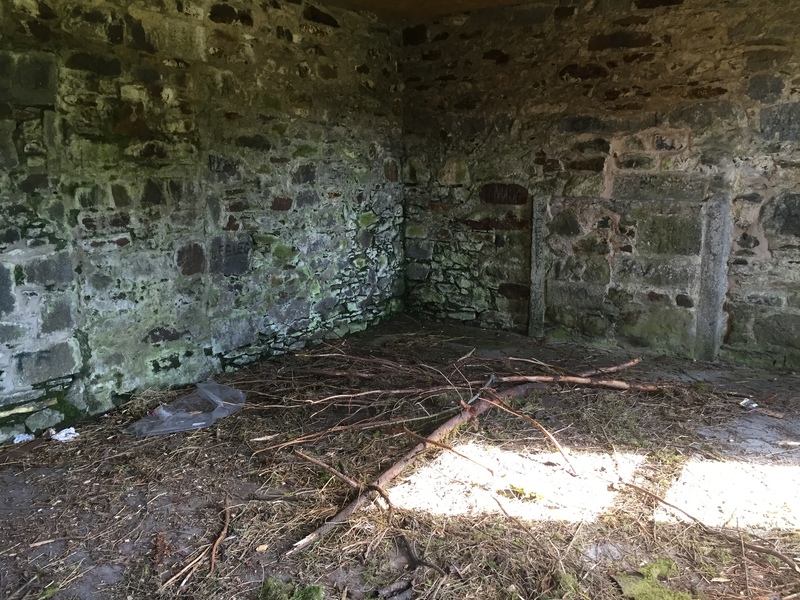 How awful about all that litter left in the bothy! Last time I saw it, I don’t think it even had windows and a door – not that many years back. I don’t think the Dungeon hills are included in the Awful Hand but they are nearby. I know, brilliant name though. I love the place names down there – so entertaining! 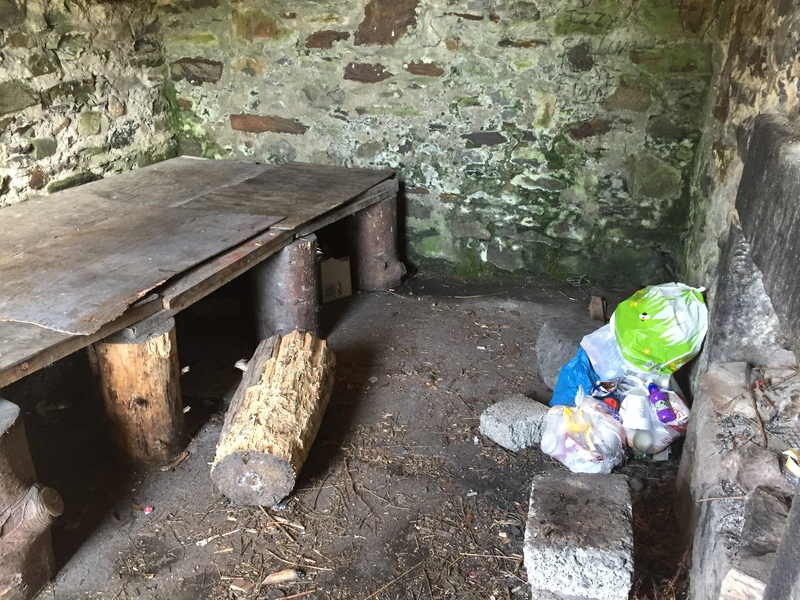 Yes, the Galloway bothies are notorious for being vandalised. I guess this wasn’t vandalised as such, but it was so rough inside there wasn’t much to vandalise anyway. I stopped in past the Hutchie Hut last weekend and people had strung up lots of bags of rubbish. I just hoped it was from the folk that were staying there and they would be bringing it out but again, I doubt it. Looks a good route which I’ll have to try sometime. 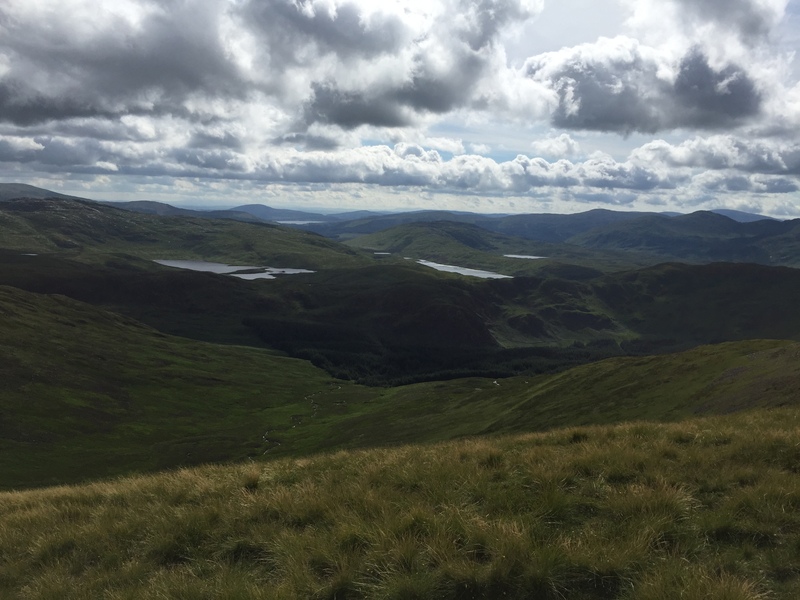 Like you, I don’t know the Galloway hills. It’s maybe an idea to leave it to winter or spring when the grass isn’t quite so long the the path easier to see and follow ? Maybe, I’m sure the grass must get shorter then. Most of it wasn’t on paths so quite hard going when your steps were obscured. But reckon that last bit of path down by the burn must be easier in spring/winter when the ferns are reduced. Saying that it was a great route!